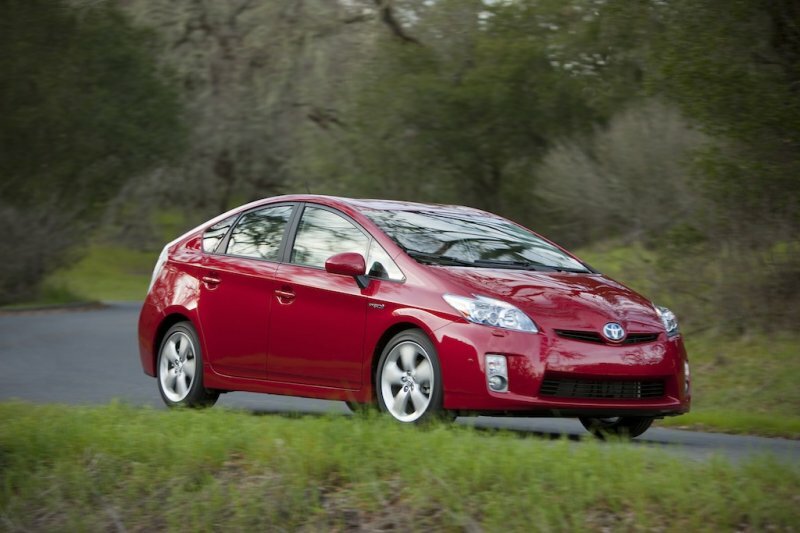 Review: 2011 Toyota Prius – A Gas Lover With A Heart, or Killer of Automotive Fun? 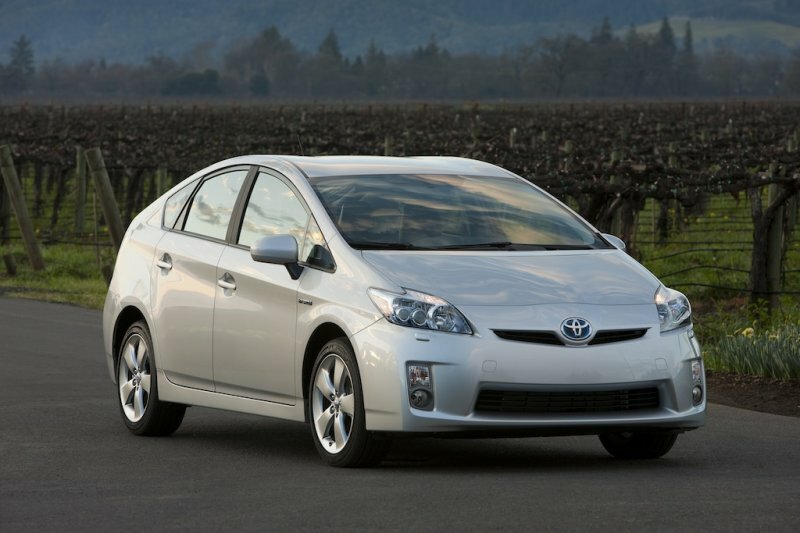 Please welcome Bill from You Are What You Drive, contributing to RawAutos from time to time, his first review is of the 2011 Toyota Prius. 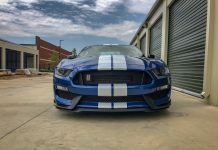 While it’s a car we wouldn’t normally feature, we found ourselves wondering what it’s actually like to own. Take it away, Bill. 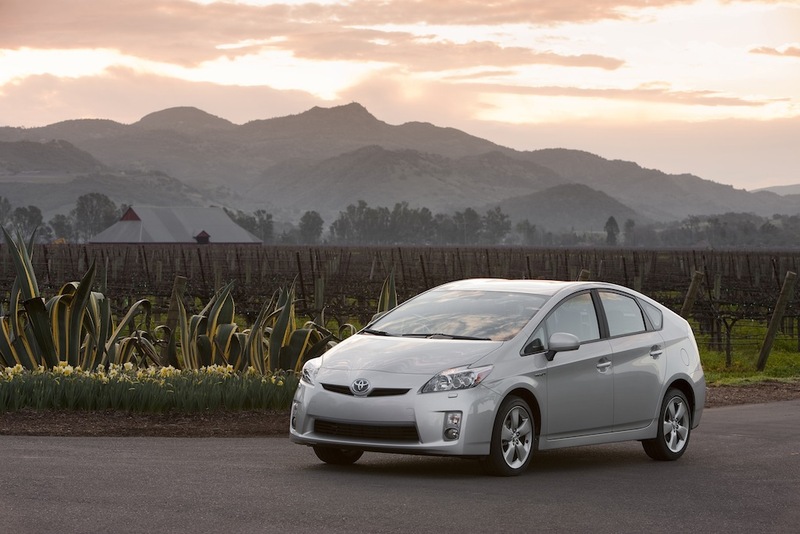 The Toyota Prius is the world’s best-selling hybrid and one of Toyota’s best selling cars…and all for good reason. It offers awesome fuel economy, a high-quality interior, and tons of trunk space. 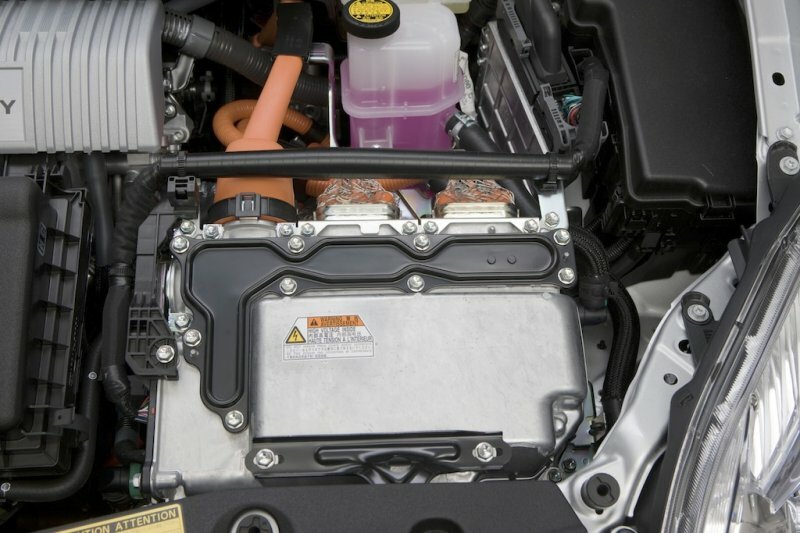 Having recently driven and reviewed the comparatively downmarket Honda Insight through Zipcar on my blog a couple weeks ago, I can conclude that while the Insight is good yet slightly underrated, the Prius is rather deservedly highly rated. 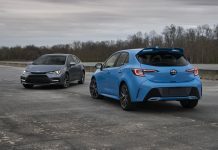 While I didn’t intend to make this article a battle royale between Honda and Toyota’s similar-looking 5-door hybrids, one can’t help but draw comparisons. 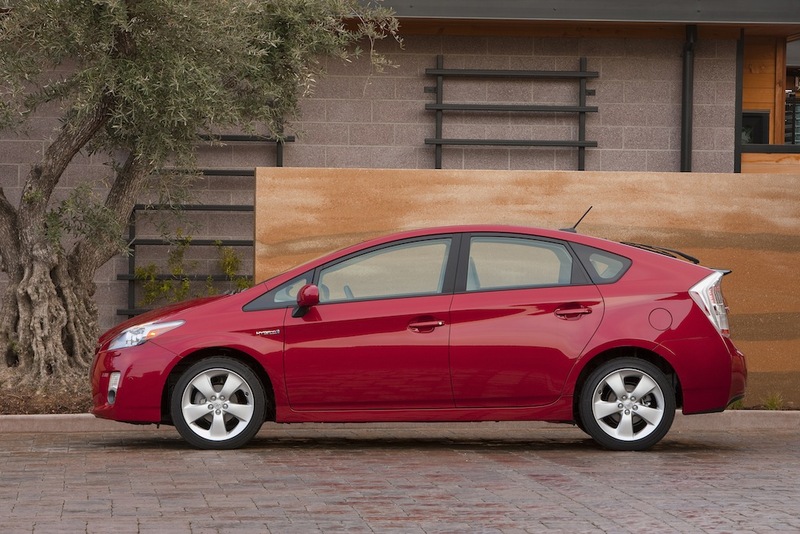 Bottom line – the Prius is more pricey, but the driving experience is also more satisfying. 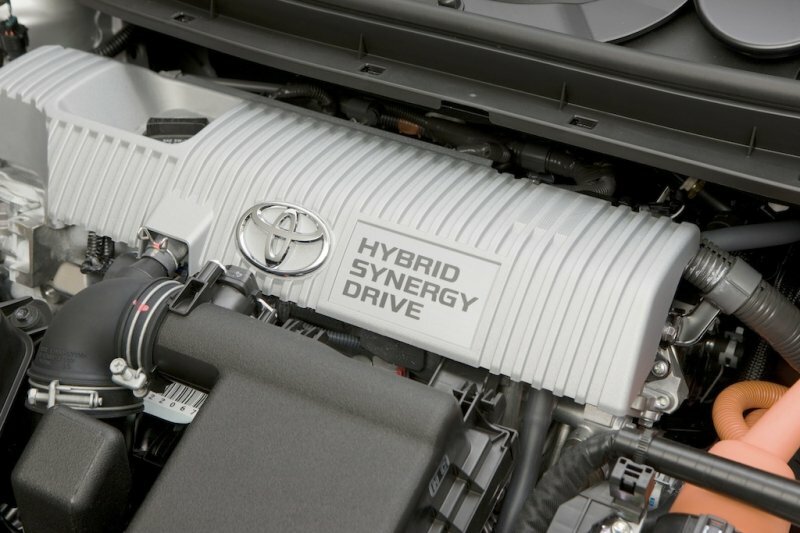 Performance: Today’s hybrids are inherently not fast cars, but their buyers are not expecting high performance, so it would not be fair of me to knock the Prius for its sluggish acceleration and annoying lawnmower-like engine whine. 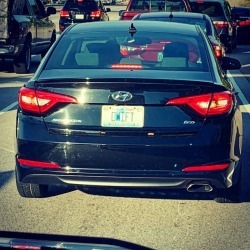 And for those who want to play devil’s advocate: the hybrid versions of high-end cars such as the Lexus GS/LS, Porsche Panamera, and Cadillac Escalade may be fast AND sound decent, but I would not consider these vehicles hybrids in the truest sense given their paltry improvement in fuel economy. 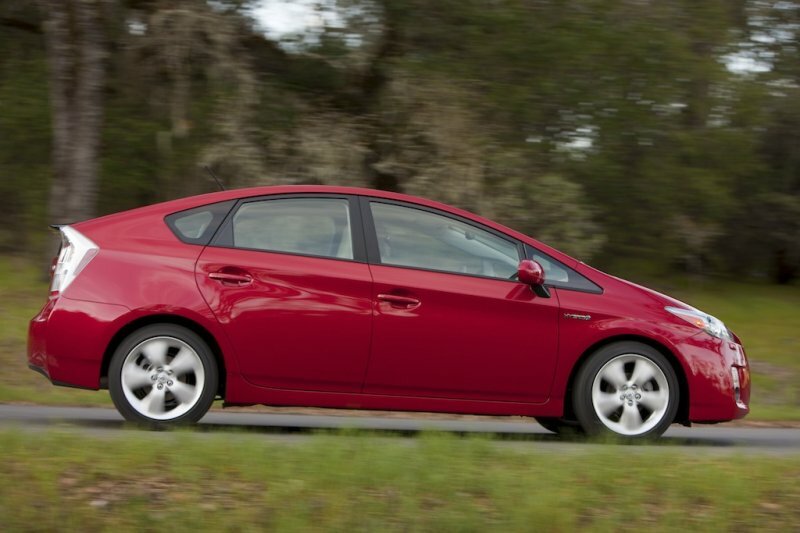 Simply put, the Prius is slow; its power feels similar to compact cars such as the Corolla, Civic, and Sentra, despite offering midsize-like space. 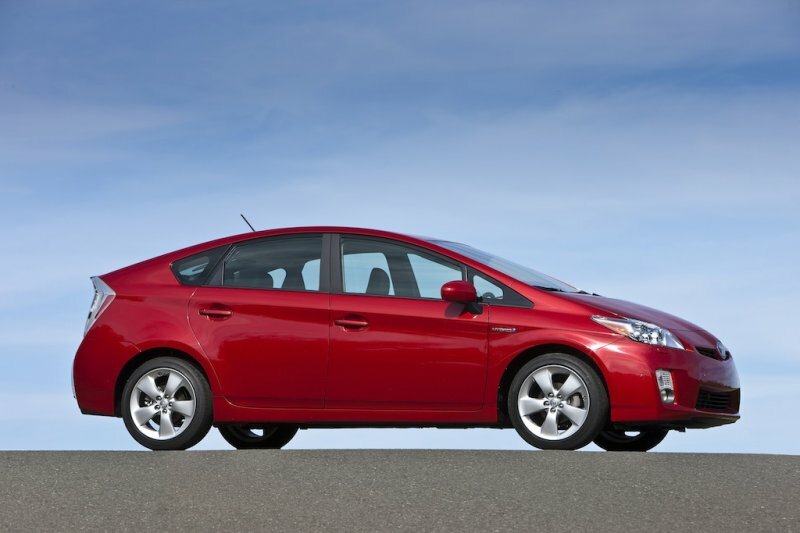 While the Prius feels no faster than the Insight, it somehow manages to corner better and drive livelier. 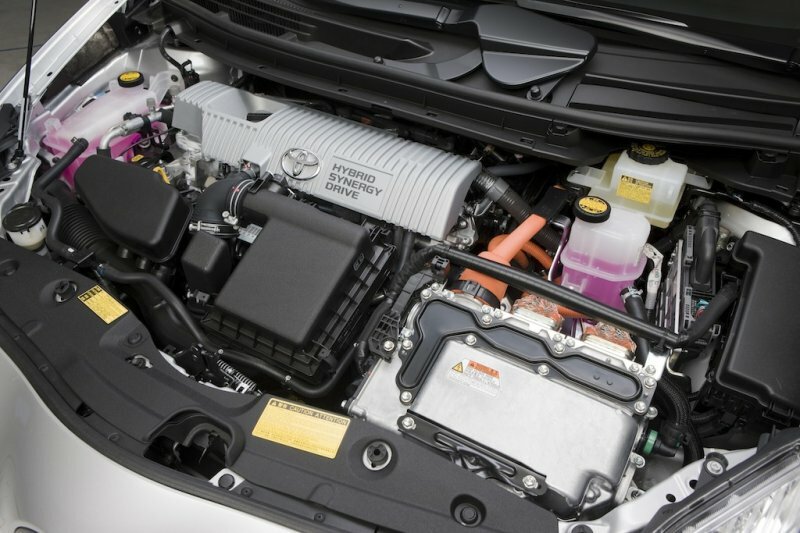 Engine-shutoff is a smoother process in the Prius, as I experienced much less “jolting” than the Insight at stop lights. 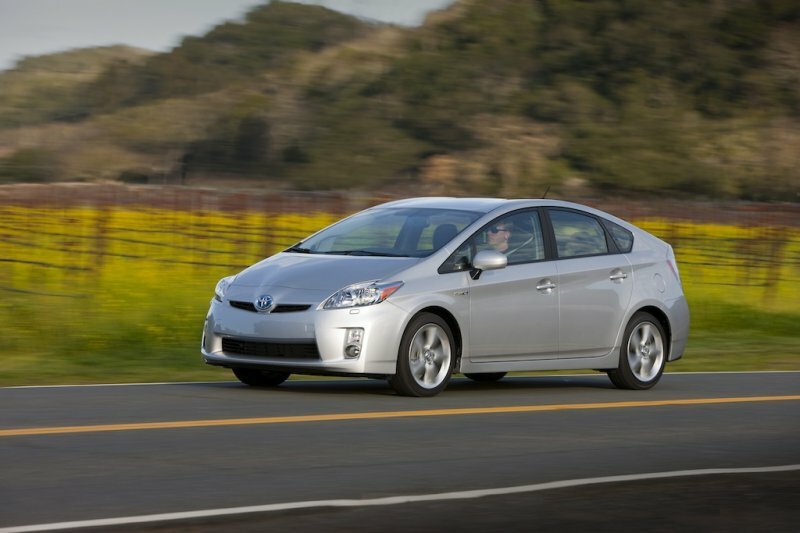 Regenerative braking in the Prius, as in all hybrid cars, takes getting used to as it is much more responsive than in regular cars. 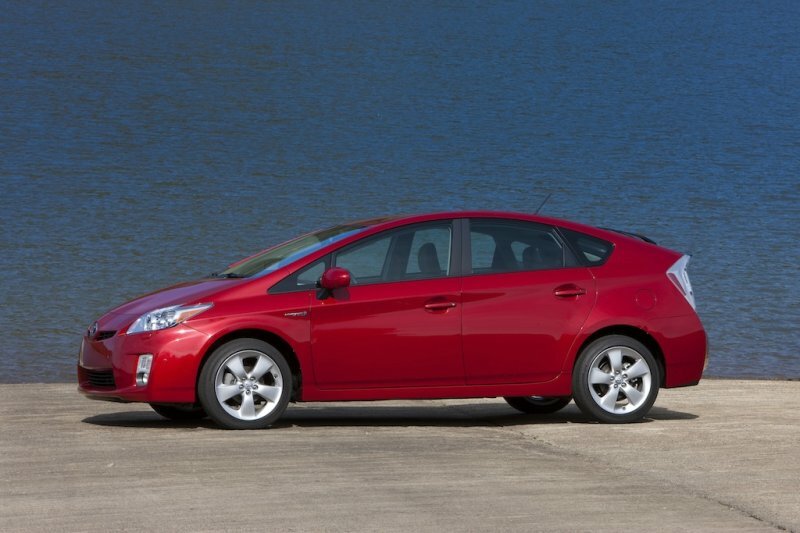 Exterior Design: Despite having nerdy hybrid-like characteristics, I still think the Prius is a fresh, unique, respectable looking design. The overall exterior design, especially the side profile and rear end of the Prius, is marginally sleeker than the Insight. 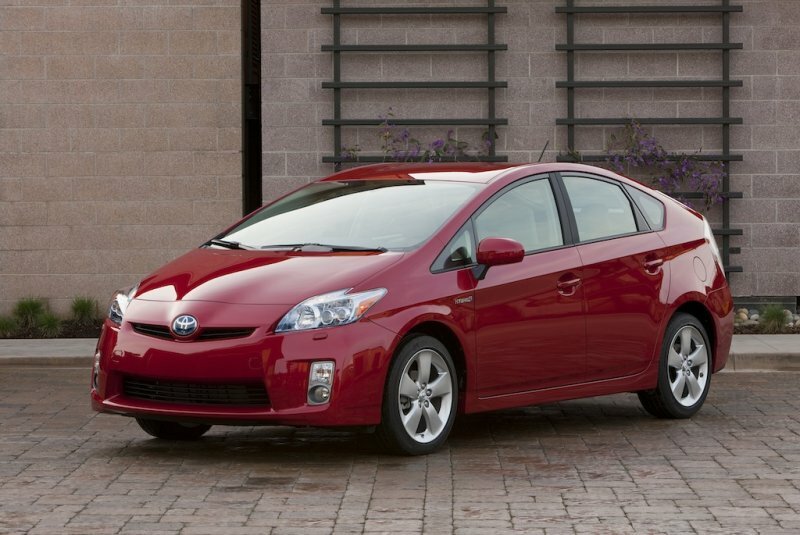 I also prefer the Prius’ design to just about every other Toyota model, especially the bland and ubiquitous Camry, Corolla, and Highlander. I must admit that the Toyota Prius’ front end is too blobby for my taste, and I prefer the more futuristic fascia of the Insight. 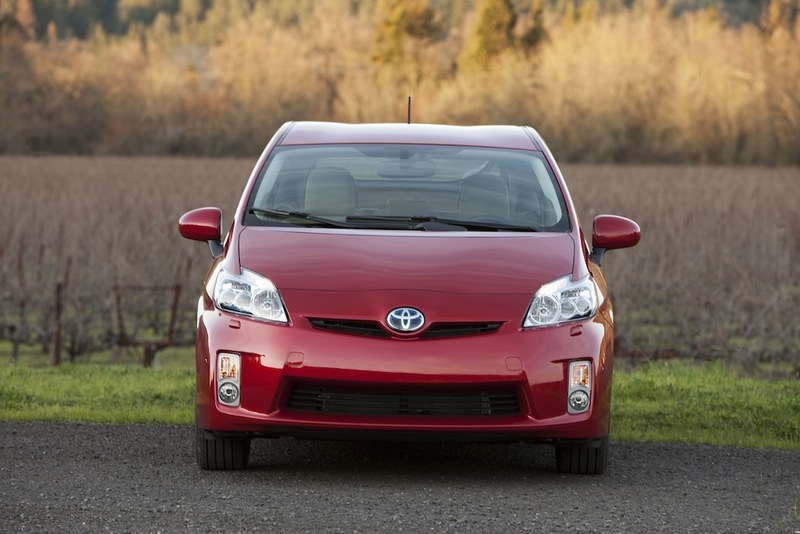 The bump in the center of the Prius’ hood near the Toyota logo reminds me too much of the Yaris, and the headlights look like the nonsensical shape of the Nissan Z and Maxima’s headlights. The Prius’ LED taillights, blue halo effect around the Toyota logo, kinked D-pillar, and glass inserts between the A-pillar and side mirrors are thoughtfully designed features that make the Prius stand out. 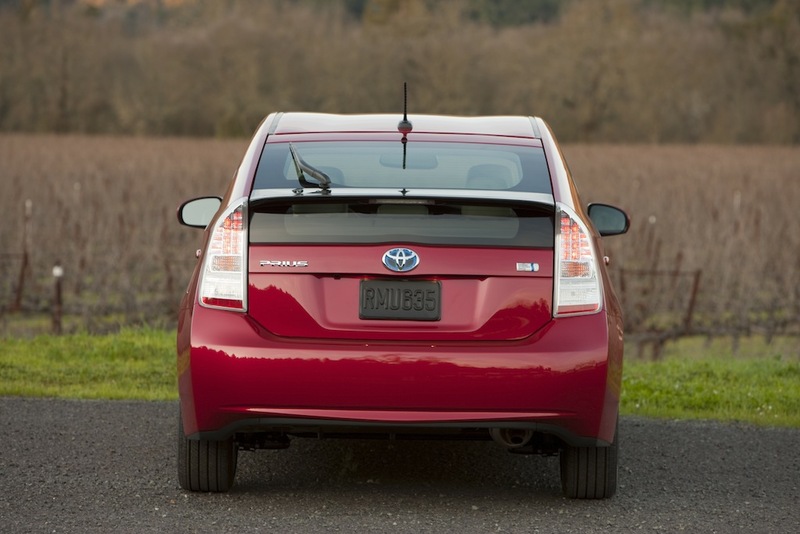 The Zipcar logos all over the trunk and right side made my Prius even more of a head-turner! Interior Design: The interior is really where the Prius leapfrogs over the Insight, as its design is considerably more ergonomic and thoughtful. 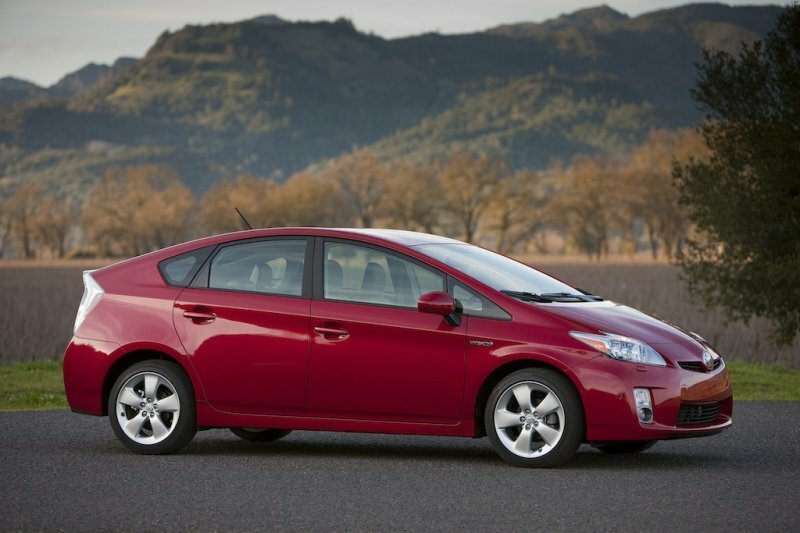 The Prius’ marketing strategy is quite paradoxical: buyers are generally eco-friendly, so the car couldn’t be too luxurious, but at the same time, the Prius needed enough creature comforts to appease the wealthy buyers and celebrities who, truthfully, are likely more attracted to the Toyota Prius for the mere appearance of eco-friendliness. I believe Toyota has struck this balance perfectly, which is why the Prius has been a hit, and the more basic Insight has faltered. 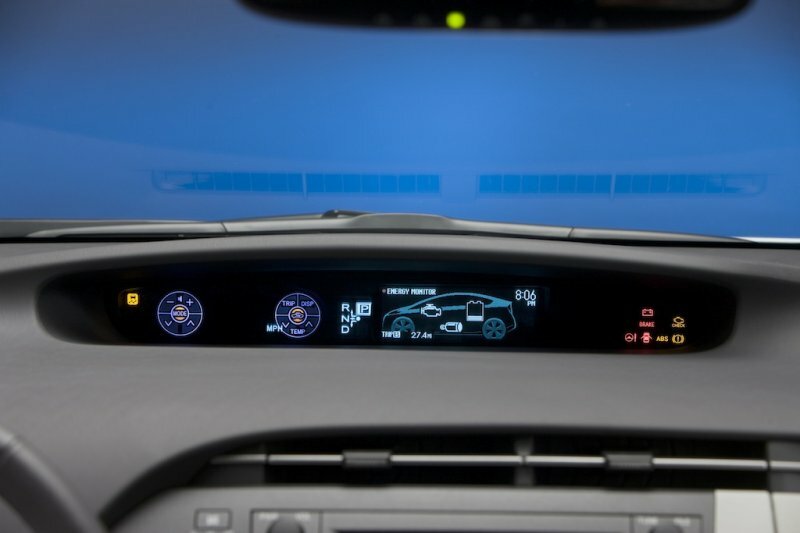 The Prius’ dashboard is pleasingly laid out; it almost feels like it is curled around the driver, waiting for his or her next command. I love the design of the center air vents – the chrome accent in the middle and the downwardly curled edge on the left side are tastefully executed. 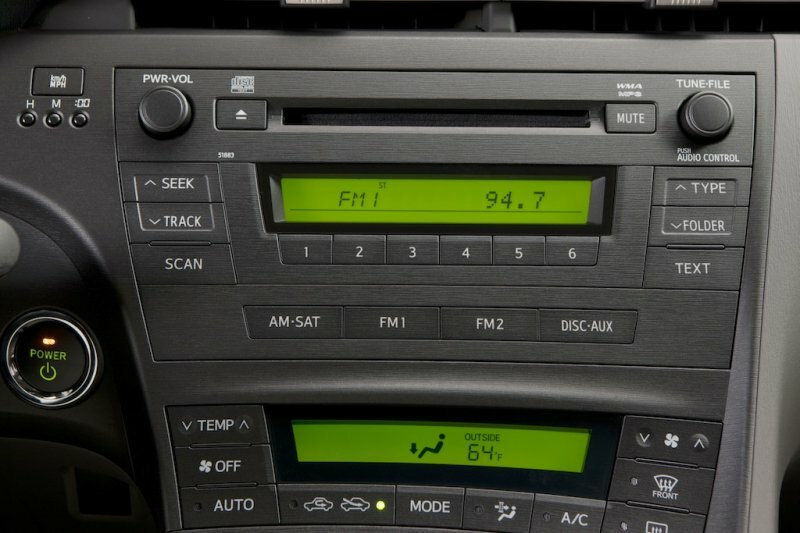 The center radio / air conditioning console is covered in an appealing ridged plastic that gives a convincing appearance of metal. 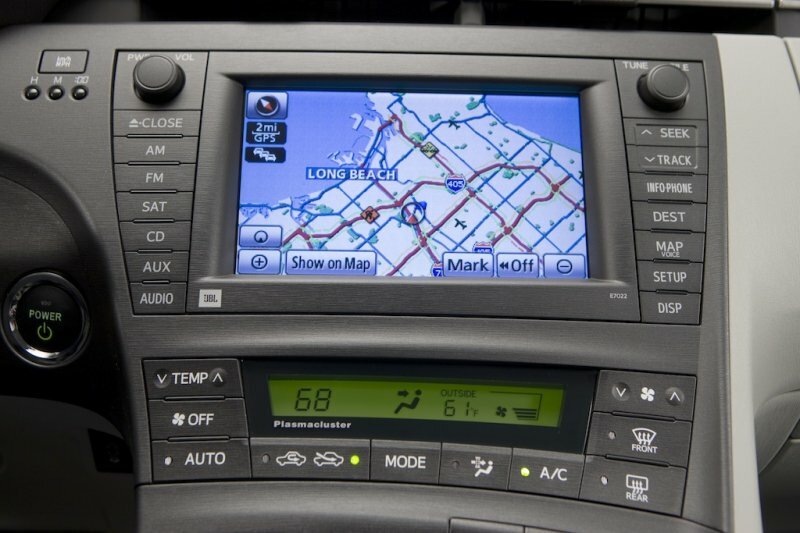 Overall, the layout and materials used on the dash are considerably higher quality than the Insight. The thinness of the console reminds me of Volvo’s beautiful interiors, maximizing storage space behind the console. Its dashboard buttons are simple to operate (I was driving a fairly base model, but navigation is an available option). I usually don’t like cloth seats, but the fabric on the Prius’ seats was very soft and tastefully crafted. The Prius’ high-quality dashboard plastics are imprinted by a mix of soothing wave-like patterns – a small touch that actually put a smile on my face. 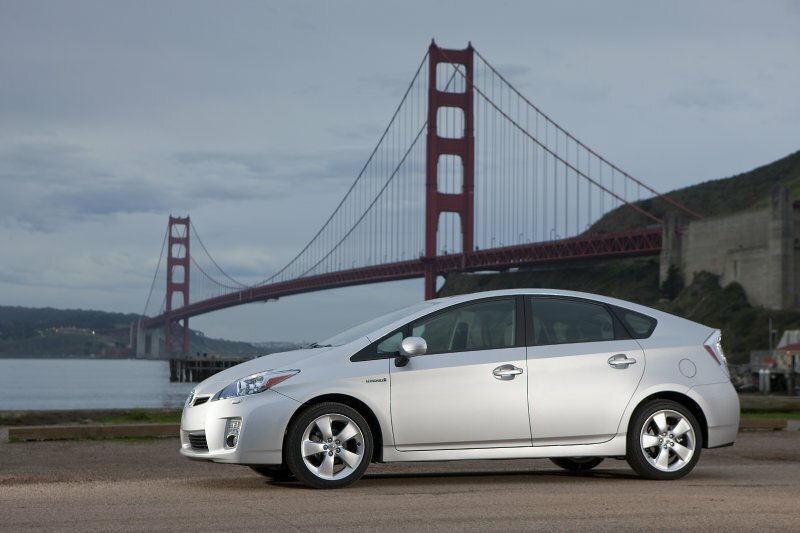 There are a number of features that make driving the Toyota Prius an “experience” and reminded me that I was driving a hybrid-electric car. The start button is a much-welcomed feature that is not found on many cars at this price point. 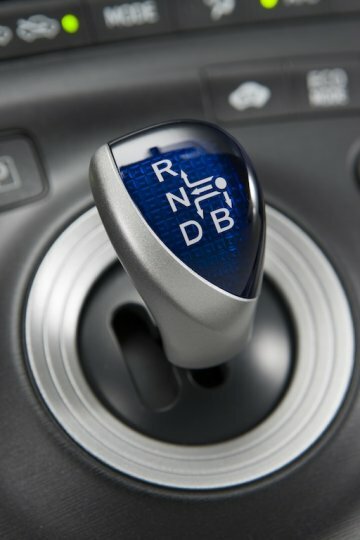 The shifter is an interesting Star Trek-like joystick that glides to Drive and Reverse with a flick of the wrist, and it is much more pleasing to operate than a standard shifter. When you’re ready to park, you press a button rather than shifting the joystick. 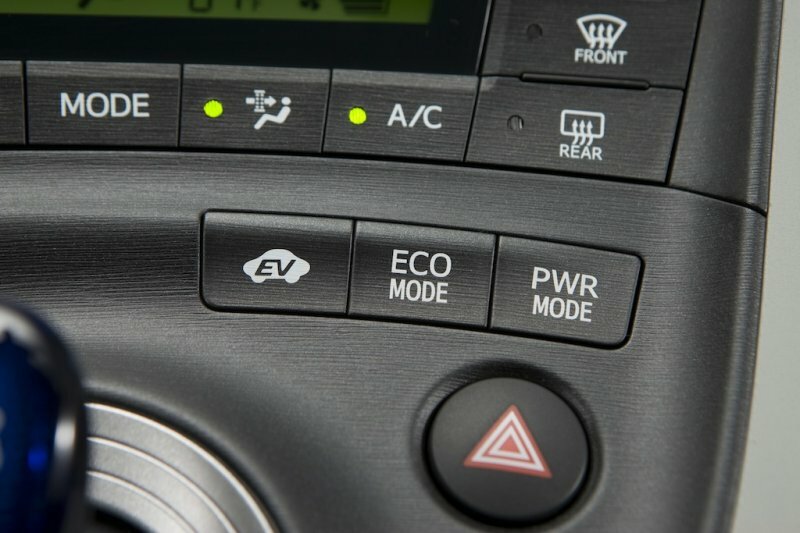 There are also buttons to change the source of power from pure electric to a fuel sipping “Eco” mode to a more gas-hungry “Pwr” mode for those late for work. However, I think these buttons are somewhat unnecessary given how efficient the car is in its normal setting. 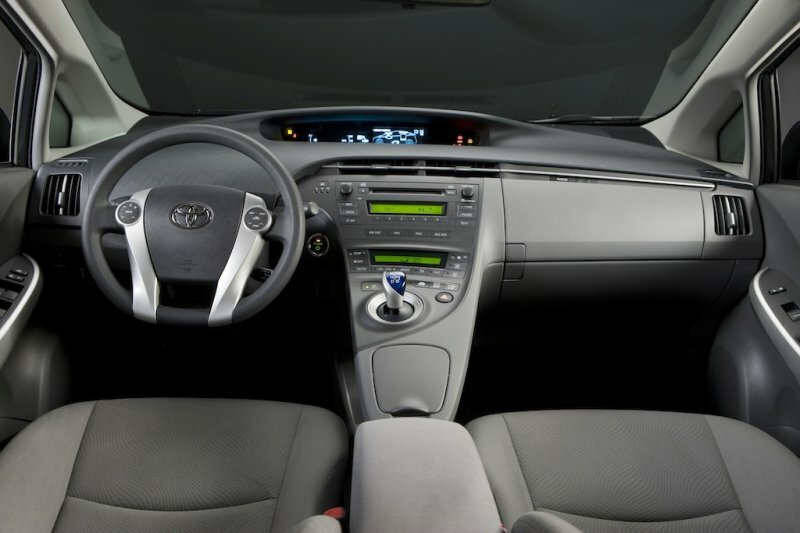 The Prius’ steering wheel is intelligently designed with convenient buttons to operate the radio. When you press a button, an identical image of the button simultaneously appears next to the speedometer – an upmarket feature that reminds me of the heads-up displays found in Cadillacs and BMWs. 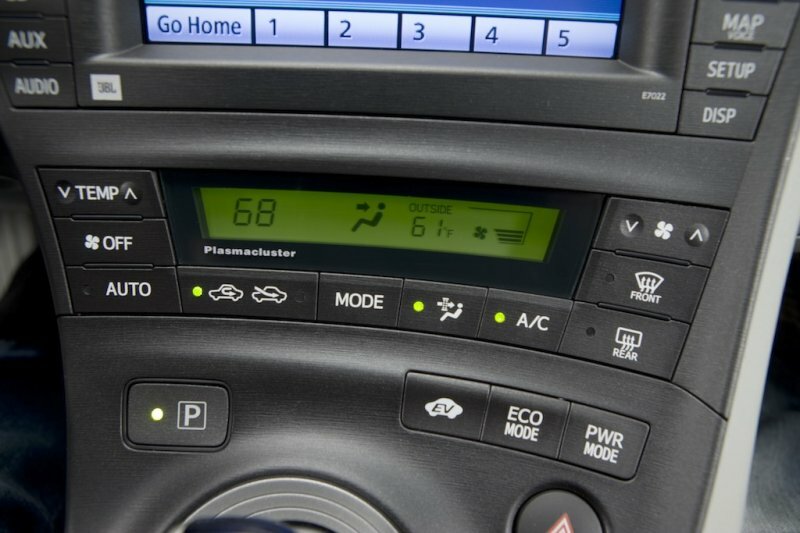 A couple gripes with the interior: while the little image of the Prius showing the car’s source of power is nifty – and I could see it being important to fuel-conscious buyers – I do prefer the Insight’s blue / green color-coding that indicates when the driver is using gas vs. electric power. 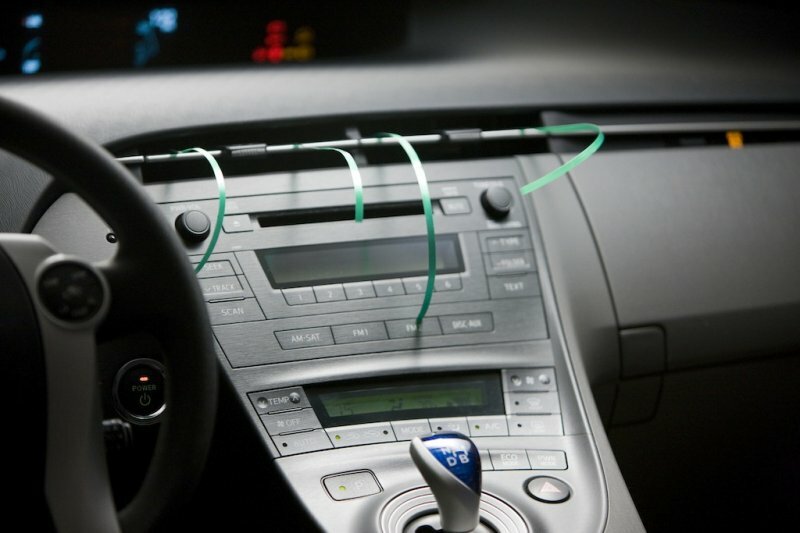 Toyota should implement this feature in the next redesign. I also despise the central location of the speedometer. I never like centrally mounted speedos. Ever. It is extremely distracting to continually look away from the road to see how fast I’m going. I didn’t like this design concept on the Saturn Ion, Mini Cooper, or Scions, and I don’t like it here. 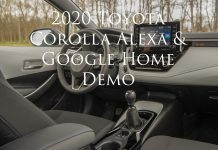 Lastly, the color of the interior is an overwhelming gray color – the two-tone option looks better, but regardless, the interior could be spruced up with some wood accents carefully placed on the dash and door handle areas. 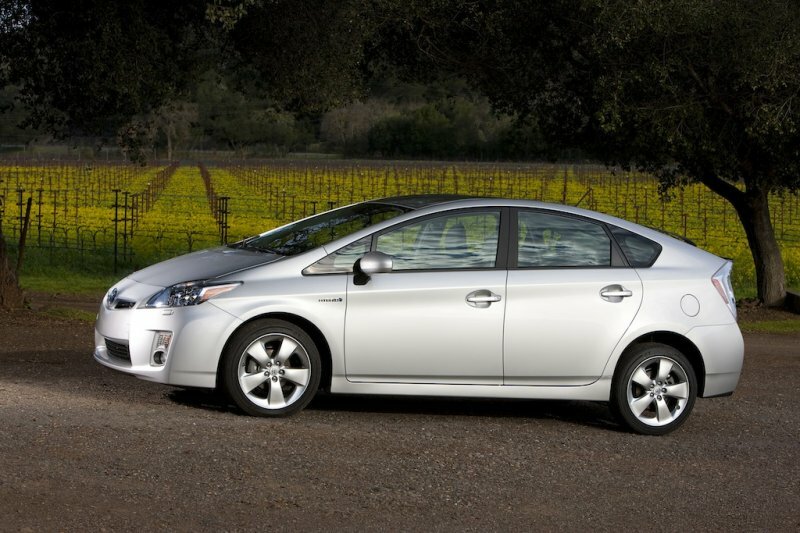 While the design of the Toyota Prius is quite unique and screams “HYBRID” to the world, it is also very practical. 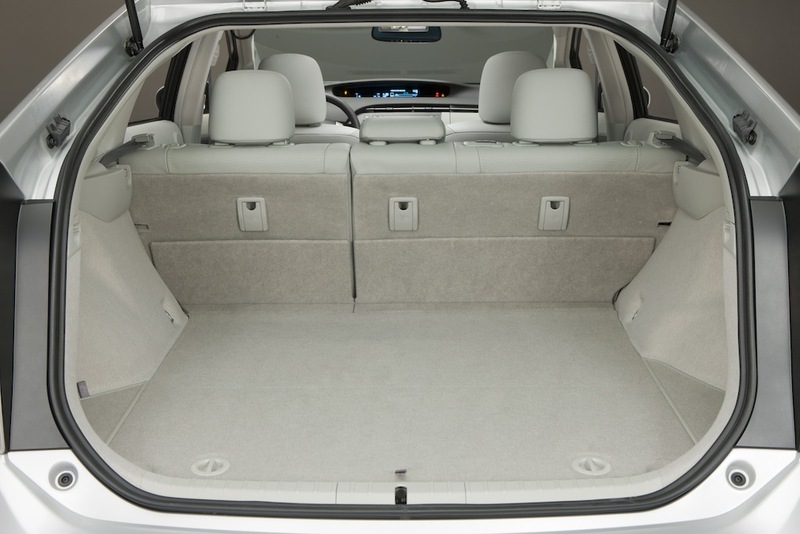 There is plenty of room for large cargo, especially when the seats are folded down. 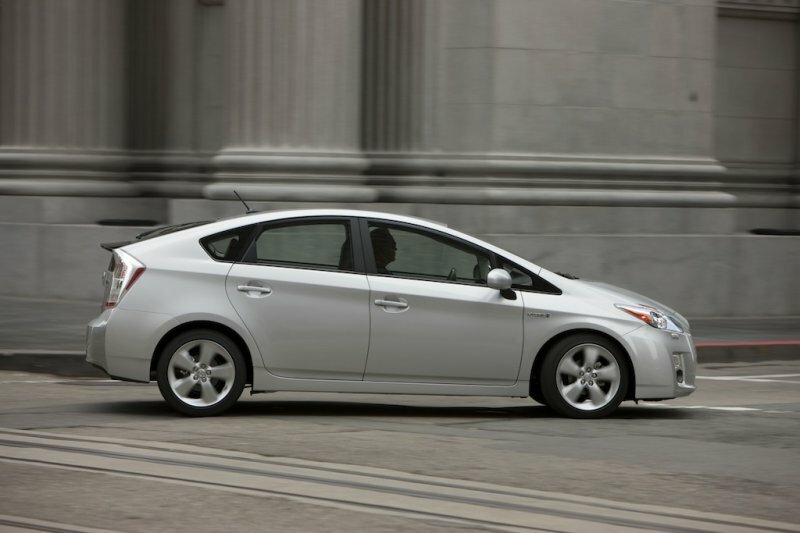 The first-gen Prius was a relatively dorky-looking compact sedan with a traditional amount of cargo space. 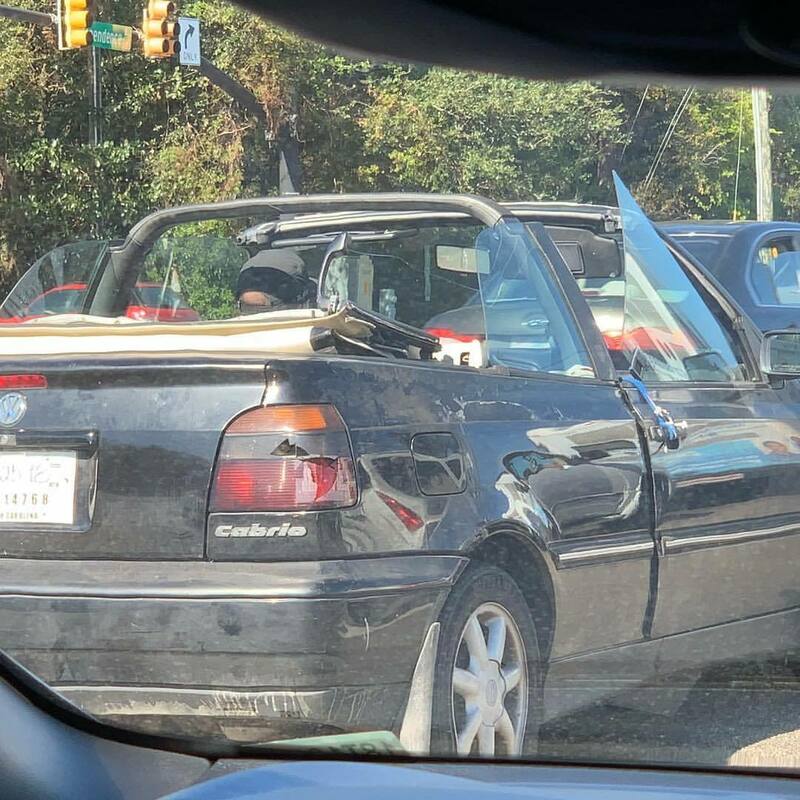 The latest body style solves this issue and is much more relevant for families and small business owners who frequently haul large objects. Conclusion: The Prius is a mass-produced masterpiece, and in the world of hybrids, it is king. 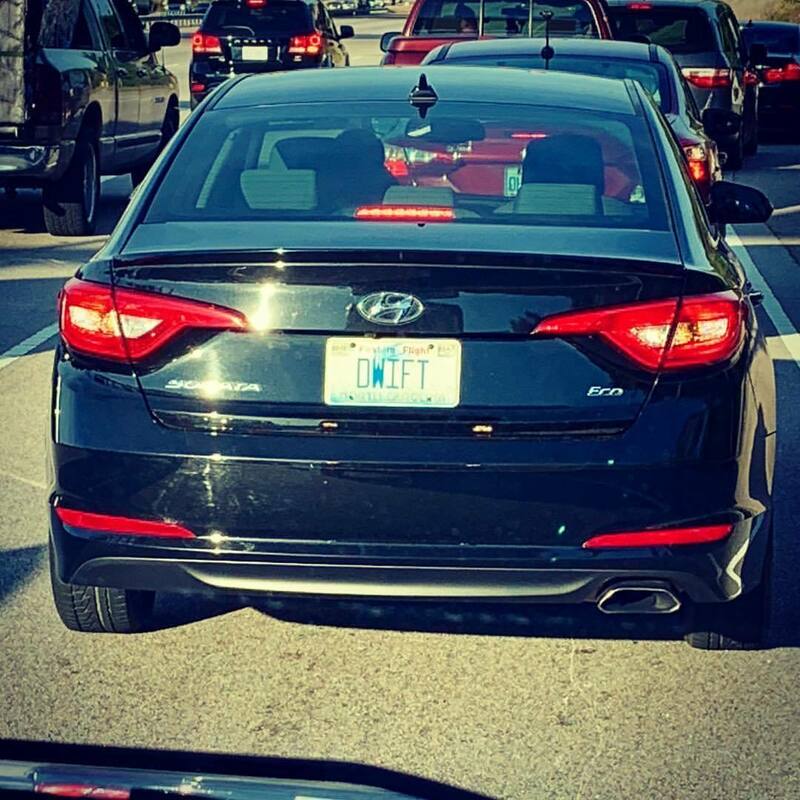 However, if I was in the market for a mid-$20k 5-door, I would never buy a Toyota Prius or a Honda Insight… I would buy the Audi A3 because I (and likely you, a car blog reader) am not the Prius’ target buyer. 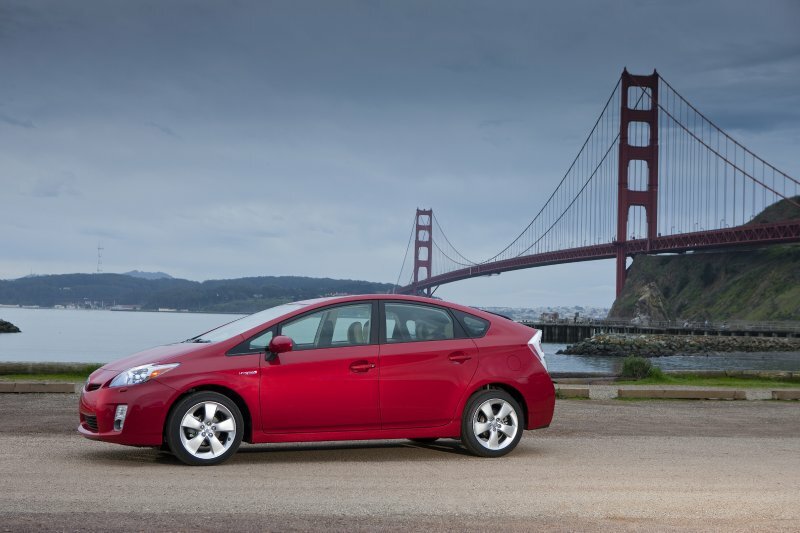 The Prius and Insight are devoid of performance, solely existing to be ecologically and economically responsible and, as a result, take the fun out of driving. In fact, while I was taking pictures of the Toyota Prius, I was quite distracted by a beautiful Porsche 911 Targa that drove by. When a car company produces a reasonably priced, quick, fun-to-drive, practical hybrid with Prius-like mpg stats, only then I’ll be interested. And a 20 mpg Escalade Hybrid doesn’t count. 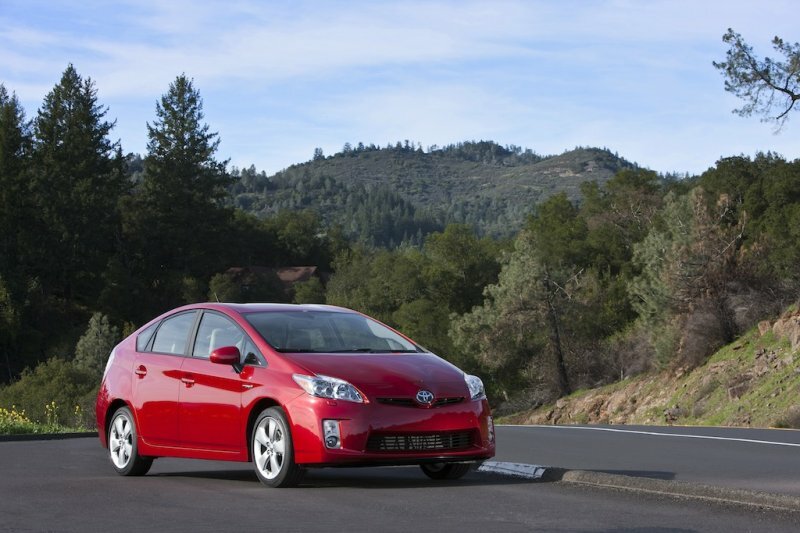 But for non-car enthusiasts, the Prius (and for those on a tighter budget, the Insight) is the perfect choice – fuel economy, an eco-friendly image, cargo space, and all the standard creature comforts. Ed: Thanks to Bill for being a bigger man than me in his review of the Toyota Prius, because I don’t think I could have stomached it.